Report to the ISC any changes in your name, address, telephone, major, dependents, and/or graduation date. Keep original immigration documents (passport, visa, I-20, I-94) in a safe, secure place. How is my F-1 visa different from my F-1 status? There is often confusion over the difference between visa and status. In many countries, a visa is directly tied to the immigration status. 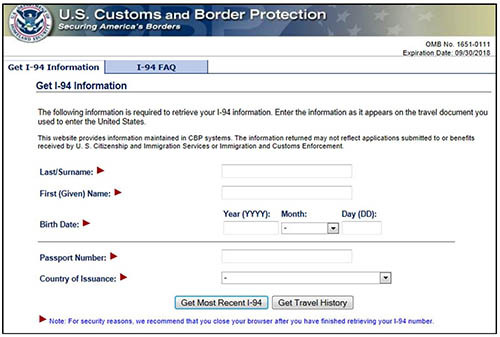 In the U.S., the visa simply allows a foreign national to apply for admission in the U.S. at a U.S. port of entry. The officer at the port of entry grants the legal status through endorsing the I-94 arrival/departure record.